ETeamz.com has notified GALS that they are transferring all websites to a separate entity during April. The Caldwell GALS website will be inactive for a period of time while the Board reviews different options for the future of the website. The Board has decided to transfer daily updates, announcements and schedules to the Face Book site for Caldwell GALS Softball. Please visit that site for all information on league activities after March 15. Teams wanting to join GALS for the 2019 season should e-mail a request for a coach's packet to caldwellgals@gmail.com. Verbal requests must be followed by e-mail requests. All forms are being revised. Older forms will not be accepted. Caldwell Girls' Athletic League Softball, Inc. (GALS) is a non-profit organization created in 1983 to develop a summer softball program for Caldwell's female youth. The purpose of GALS is to encourage the development of citizenship, friendship, sportsmanship, and leadership in the community through organized, safely equipped, and properly coached softball activities for female youth. GALS began as a cooperative effort between concerned parents and the Caldwell Parks and Recreation Department. Initially, the City of Caldwell subsidized the program financially and provided facilities for GALS use. 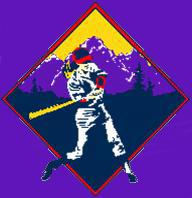 GALS began play in 1983 with six teams under a slow pitch format. In 1998, the format was changed to a fast pitch game under Amateur Softball Association rules to keep pace with the changes in the game which were occurring across the country. In 2002, Parma Softball joined with GALS bringing the total teams to 19. News about the league spread and we have been growing ever since. Since 2011 to present day, GALS has had on average seventy (70) Idaho and eastern Oregon fast pitch teams per year participate in the GALS summer league under A.S.A. rules of play. Over the past few years with more competition the GALS Board, coaches, umpires, and parents have noticed significant improvement in softball skills at all age levels, great teamwork developing, friendships developing between girls from different cities, and better sportsmanship throughout the league. GALS is currently and has been for over 20 years a self sufficient program that utilizes city owned facilities but recieves no public funding for its activities. All GALS Board members and coaches are volunteers. Games are scheduled at facilities in Caldwell, with games occasionally being played in Nampa, Homedale, or other outside facilities. Fields utilized by GALS include the Caldwell High School's softball facility, Sage Valley Middle School, and the GALS Quad on Smeed Parkway. The Quad was created by a partnership between GALS, the City of Caldwell, and Major League Baseball's charitable trust, the Baseball Tomorrow Fund. The GALS Quad has been in use since 2004. GALS is organized into A.S.A. age groups - 10 & Under, 12 & Under, 14 & Under, and 16 & Under. League scheduled games are played Monday through Thursday evenings from early May through the middle of July (depending on age group), with a double elimination championship tournament at season's end. In 2012, GALS added an 8 & Under age group. Teams in this age group play machine-pitch. Games are primarily played on Tuesday, Wednesday, and Thursday evenings. GALS also hosts a week-end invitational tournament sometime during the season. In addition to league play and an invitational tournament, GALS is on a rotation system to host one of the Idaho State JO Tournaments in July.